Revival and Great Awakening – A heart and growing desperation for a great move of God in this generation. Unity and Cooperation absolutely must happen across the Southern Baptist Convention in order for us to realize the future God has for us. The Cooperative Program is needed & valuable. Therefore, we need to discover ways to help all generations understand its importance for what we do today and for our future. The Great Commission – We need to remember what we are about, reaching America and the World for Jesus Christ. 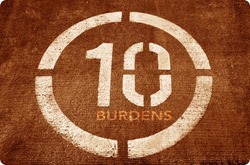 Now, it is time to share the remaining five burdens some of our leaders have about the Southern Baptist Convention. click Communication – Tell the compelling story of who we are and what we are about. Our story as Southern Baptists is highly compelling. I believe in who we are and what we are doing together. As in any church and certainly in our Southern Baptist Convention, we must find ways to tell our story better – what God is doing through His people called Southern Baptists. I believe we are going to do this at our 2015 Southern Baptist Convention in Columbus in a fresh and compelling way. http://cinziamazzamakeup.com/?x=viagra-generico-100-mg-in-farmacia-senza-ricetta-pagamento-online-a-Bologna Better engagement of the younger generation in the Southern Baptist Convention. Be encouraged – we are seeing this change right now before our eyes. In the most current research about our recent annual convention meetings, our younger generation is attending more than we have seen in recent history. The Great Commission Resurgence Task Force’s desire when their recommended resolutions were adopted in 2010 was to hand the next generation a convention they would be fired up to lead in the future. What is happening through our North American Mission Board and the overwhelming response they are receiving at their various gatherings has been incredible. Additionally, with the International Mission Board’s decision to call David Platt as President, and involving younger adults serving as trustees of our national entities or committee members in our national and state conventions, I believe we are making incredible strides in better engagement of the younger generation in the Southern Baptist Convention. I am excited about the days ahead and the remarkable changes that will occur in the decade ahead. http://cinziamazzamakeup.com/?x=dove-acquistare-viagra-generico-25-mg Duplication – Address structural challenges in the Southern Baptist Convention that permit duplication of ministries, resulting in monies being spent that should be spent elsewhere. This is something that only our national entities, state conventions, and local association can address; not only individually, but collectively. I do know that our churches expect that duplication not take place and monies not be wasted. Since our polity does not let us determine this from the bottom up or from the top down, those who lead a national entity, a state convention, or an association will have to lead out in an evaluative, strategic, and aggressive effort to eliminate any duplication and communicate the actions you take to all of our churches. I am convinced that our churches will rise up and give more through the Cooperative Program when they have complete confidence that the monies received are stewarded in the highest manner and truly used to fulfill the Great Commission effectively and aggressively. http://cinziamazzamakeup.com/?x=acquisto-cialis-generico-sicuro Diversity – Celebrating our progress and continuing with intentionality. Southern Baptists have become one of the most ethnically diverse and multilingual denominations in the country. His words are true. We should celebrate as a denomination that we have over 10,000 churches who are ethnically diverse and multilingual. In our national church planting strategy, many of the 15,000 churches we will strategize to plant will be ethnically diverse and multilingual. Southern Baptists have learned and are becoming more convinced daily that if we are going to reach our nation with the gospel, we must aggressively win people, disciple people, and plant gospel churches that are ethnically diverse and multilingual. http://cinziamazzamakeup.com/?x=acquistare-viagra-online-generico-a-Napoli Legacy Churches – Raise up a generation of young men willing to bring new life to these kinds of churches. While we do celebrate planting new gospel churches, we have thousands of legacy churches that need young men to invest their lives to leading and revitalizing. It is not more spiritual to plant a church than it is to follow God’s calling in our lives and ministries to a legacy church or the international mission field. Therefore, I want to appeal to not only our younger generation of pastors, but to all of us: Celebrate the legacy of thousands of our churches located in villages, communities, towns, and cities that are in great need of being re-energized and revitalized by the leadership of a biblical preacher committed to evangelism and discipleship, empowered by the Holy Spirit. To pastor search committees of legacy churches, call God’s man regardless of his age, but also don’t eliminate any man because of his age, whether he is older or younger in years. http://cinziamazzamakeup.com/?x=miglior-sito-per-comprare-viagra-generico-100-mg Where do we go from here? We keep these ten burdens on our heart and call out to God about them regularly. These are real issues that demand our attention in prayer, but also in strategy. Please pray for me this week as I travel to Lynchburg and Louisville. I have the privilege to speak at the ReFUEL Conference for Pastors at Thomas Road Baptist Church, to the staff at Highview Baptist Church, and at the Southern Baptist Theological Seminary chapel service for Heritage Week. It will be a joy to engage with pastors, staff members, and students this week.